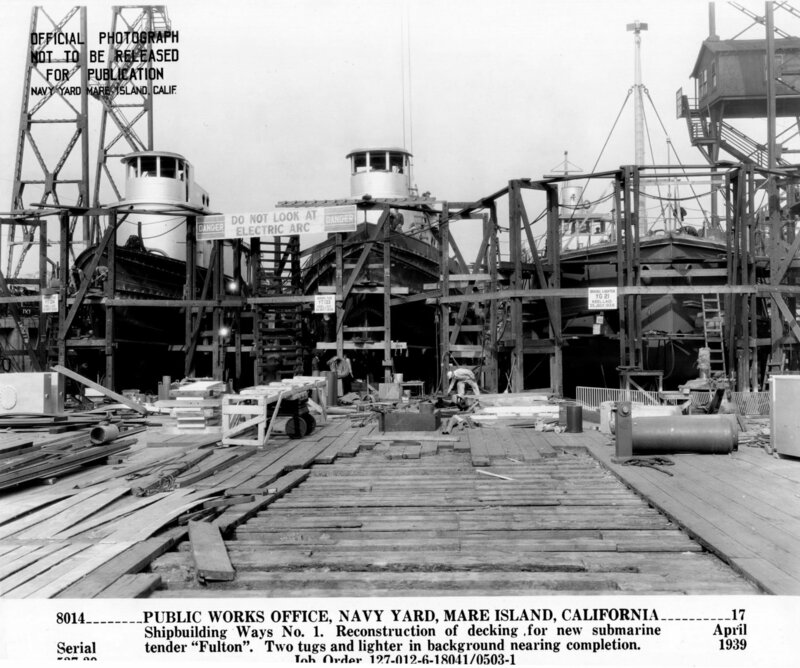 1045k From left to right; Wahneta (YT-134), Narkeeta (YT-133) and YG-21 at the end of building ways # 1 at Mare Island Navy Yard, 17 April 1939. 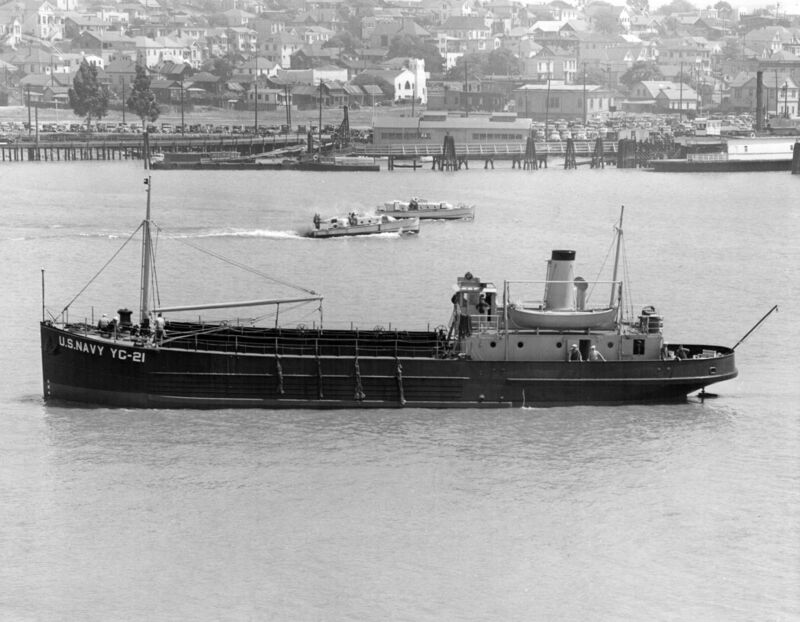 All three of these vessels were launched on 04 May 1939. 703k YG-21 arriving at Mare Island after her trials in May 1939. 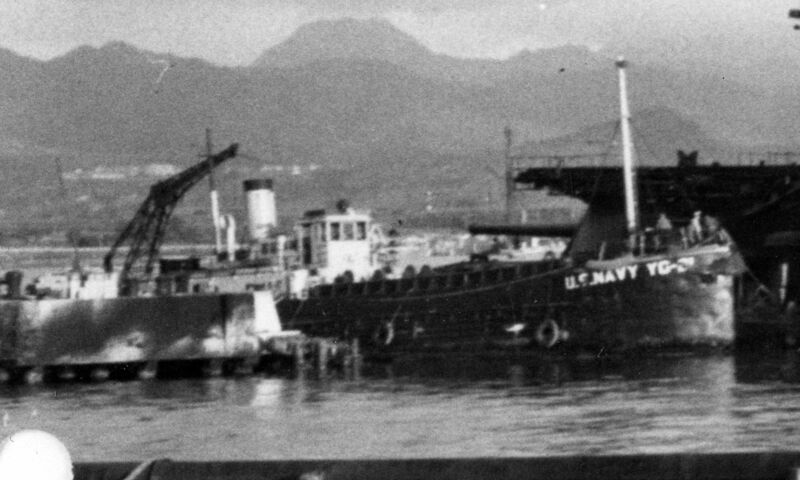 243k YG-21 alongside the battleship USS Arizona (BB-39), shortly after she was sunk at Pearl Harbor by Japanese bombs on 07 December 1941. 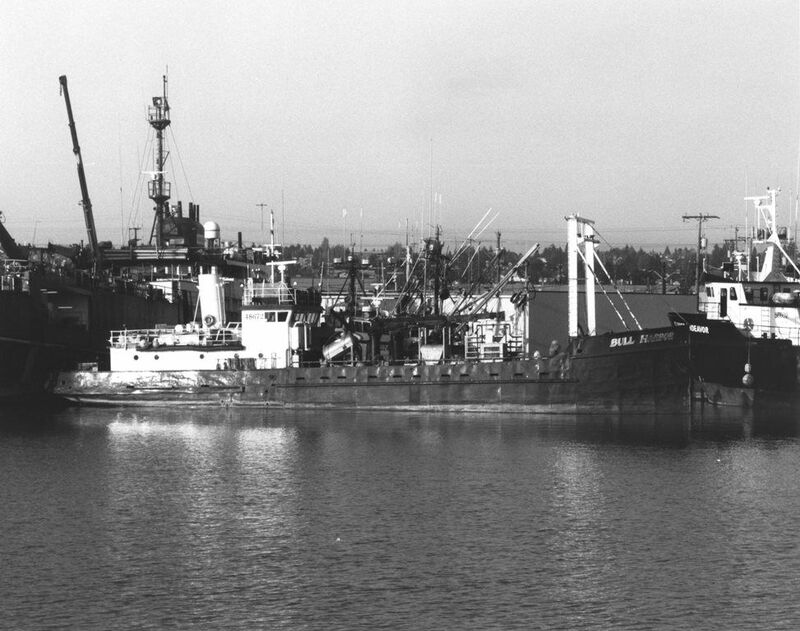 126k F/V Bull Harbor, ex-YG-21, moored at Seattle, WA, 08 November 1993. 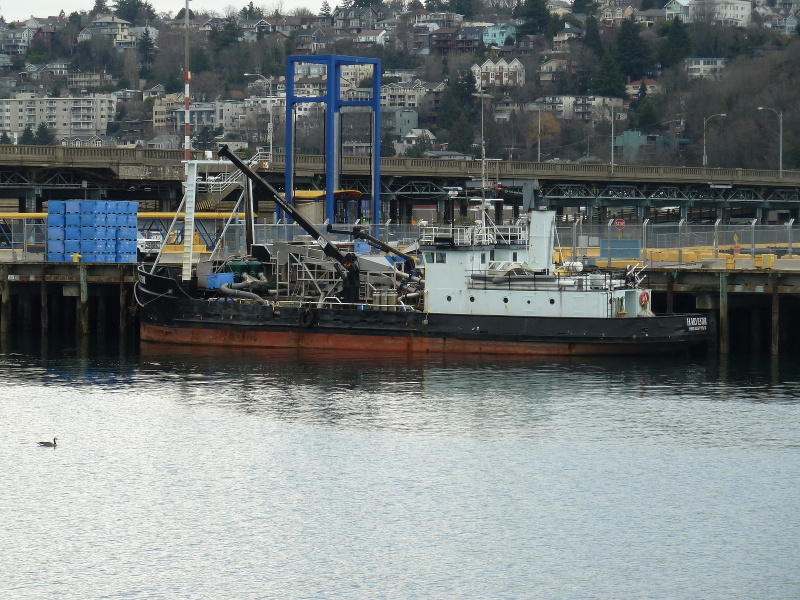 275k F/V Harvestor, ex-YG-21, moored at Terminal 91, Seattle, WA, 07 March 2011. 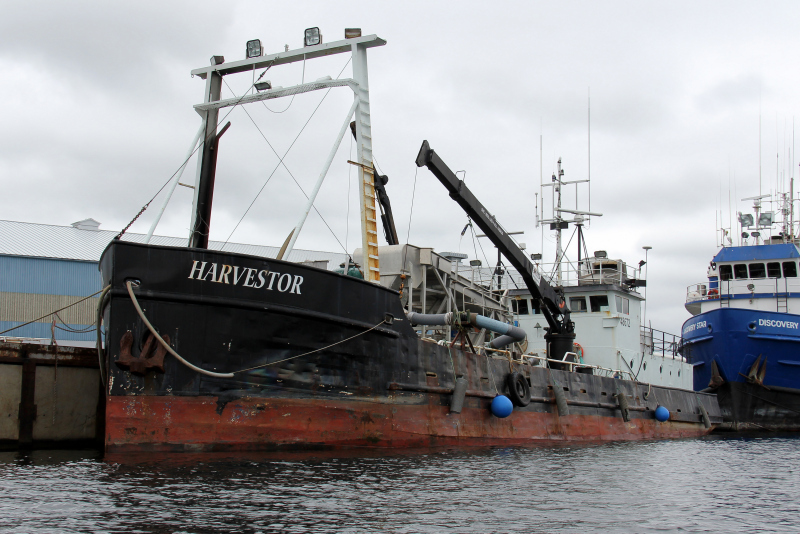 308k F/V Harvestor, ex-YG-21, moored along Lake Washington Ship Canal, 28 July 2012.